ituated high up near the source of the mighty river Rhône, Goms is one of the best cross-country ski areas in the world. However it is also blessed with extensive winter walks, snowshoe walks and toboggan runs. 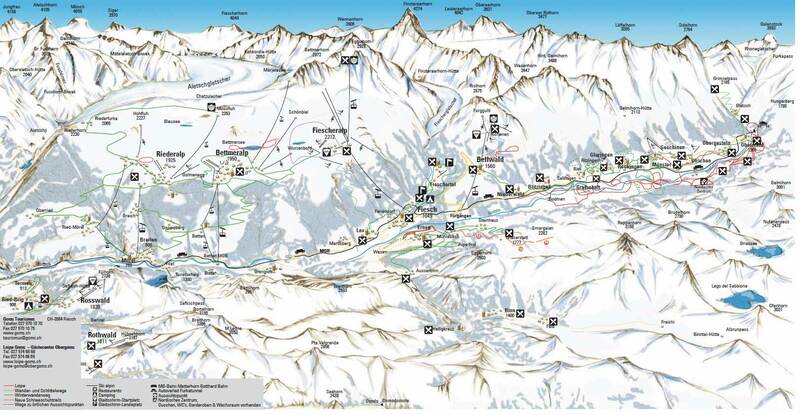 Although there is only the small downhill area of Bellwald within the district boundaries of Goms (accessed from Fürgengen), from Fiesch there is a cable car to the fabulous Aletsch Arena and Andermatt is only a short train journey away, beyond the Furkapass. With numerous stations along the valley on the Matterhorn-Gotthard railway, getting around is a doddle. The main communities are Bellwald, Ernen, Fiesch, Fieshertal, Münster-Geschinen and Obergoms. Sadly the planned redevelopment of Ernen as a ski resort has been put on indefinite hold. The best destination to access the downhill slopes by public transport in this ski area is Fürgangen-Bellwald Talstation. Station is adjacent to the cable car for Bellwald downhill area. 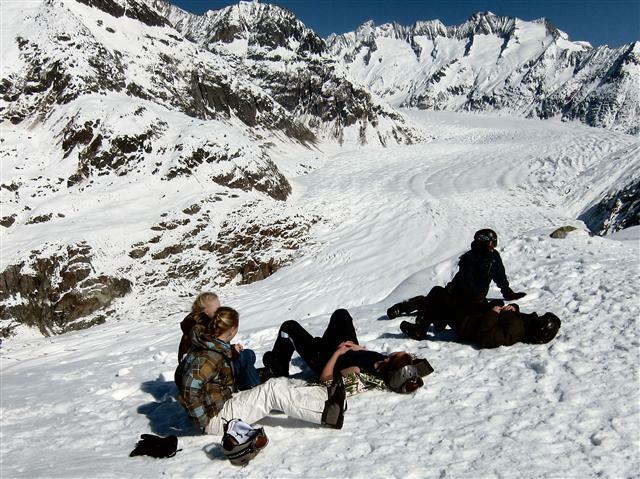 Subsequent stops up to Oberwald provide better access for other winter sports. From Zurich the least travel time is 3 hrs 7 mins with as few as 2 changes going via Brig. From Basel the least travel time is 3 hrs 7 mins with as few as 2 changes going via Bern / Brig. From Berne the least travel time is 2 hr 01 mins with as few as 1 changes going via Brig. The road distance from Zurich is around 164 km and the journey time is roughly 2 hrs 20 mins. The road distance from Basel is around 210 km and the journey time is roughly 2 hrs 40 mins. The road distance from Berne is around 150 km and the journey time is roughly 2 hrs. The road distance from Geneva is around 232 km and the journey time is roughly 2 hrs 43 mins. 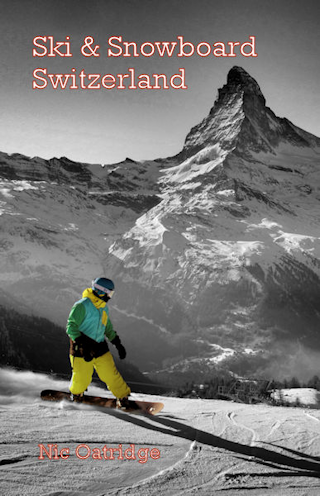 Destinations in the region include Andermatt, Fiescheralp, Riederalp and Bettmeralp.